VMU will update the location information like Latitude and Longitude to the central server through GPRS. 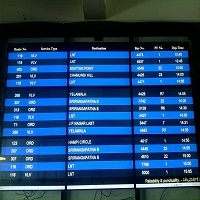 Expected time of arrival of the bus will be displayed in the bus stops. 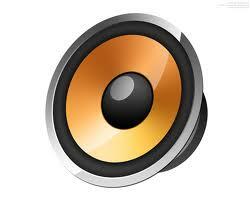 This information will be updated by central server through GPRS. 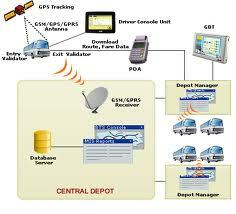 Intelligent Transport System well known as ITS, allows monitoring and tracking of fleet of buses. This is the first attempt at implementing ITS in India. The corporation plans to cover 500 buses, 105 bus stops, six bus terminals and 45 platforms in the city. The Intelligent Transport System Project addresses the critical issue of road congestion by offering state-of-art technologies and attractive, convenient, comfortable, value added services to encourage the usage of bus services against individual personal vehicles. With the driving in Mysore becoming a nightmare, and parking problems all the more bothersome in urban centers, a high-tech solution in public transport system could usher in a new era for city dwellers with many shifting to the public transport system. Against this background, the solution planned for Mysore provides for a dynamic passenger information system (PIS) available on public displays at bus stops, bus terminals and even on the Internet. With this facility to be available shortly, one could plan a commute knowing in advance the exact time it would arrive at the bus stand, availability of seats and the time it would take to reach the destination, thus saving on the waiting time at the bus stand and avoiding overcrowded buses. This uncertainty is what drives most people to use their own vehicles. These new services based on GPS-enabled navigation systems and supported by information and communication technologies will help KSRTC run their operations efficiently. Each bus will be continuously tracked by a central control station and it is planned to integrate ITS with the traffic management system, says R Sekar, principal consultant of eGestalt, who are the consultants to this project. KSRTC hopes to woo a significant population of the self-driven vehicle owner segment to move to public transport system that is supported by real-time information, and help reduce road congestion and other transport issues. Supported by a two-way communication voice facility, the driver and the central control station could be in constant touch on road traffic-jams, incidents and accidents, route diversion in case of emergencies, etc., The ITS solution will scale up to meet additional buses deployed as necessary on temporary or permanent basis. Building intelligence into the transport system brings in the convergence of technologies providing a synergetic transformation in the commuter experience. ITS provides benefits in terms of reduce waiting time and uncertainty, increase the accessibility of the system, increase the safety of users, reduce the fuel consumption and emissions, reduce the operational costs, improve traffic efficiency, reduce traffic congestion, improve environmental quality and energy efficiency, improve economic productivity. 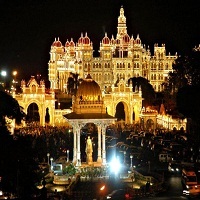 Mysore has been chosen since it is a potent place given its historical background, tourist activities, and a high growth rate in traffic density, medium city size making the project affordable, and a projected 70% increase in the land use profile. Also, Mysore city, with all the modern infrastructural amenities, offers several opportunities to the people to earn their livelihood thus attracting several people from other states for employment thus increasing the population of the city manifold..
KSRTC currently operates in Mysore through 384 schedules from 3 depots with a fleet strength of 416. The modal split figures for Mysore city indicate that the share of trips performed by public transport is only 13%, which can still be increased, as the proportion of walk and two-wheeler trips is high. Significant modal shift is needed to deliver national and international sustainable development aims for a strong economy, an inclusive society, and a clean environment. A significant trend amongst many urban road users is a willingness to use the public transport in the face of increasing traffic congestion and increasing ?road-rage? behaviour on the roads. With the rising cost of fuel, many would shift to the public transport on cost considerations. For some, time is of the essence and a modal shift will occur only if the new mode offers time improvements, while for others it is mostly a matter of costs. KSRTC aims to bring about this modal shift in the city of Mysore by improving the perceived image of KSRTC services. 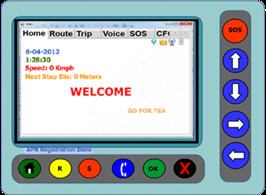 ITS covers core systems such as Vehicle Tracking System, Real Time Passenger Information System and Central Control Station. Core technologies include Geographical Positioning System (GPS), Electronic Display Systems, and Information & Communication Technologies. The Global position system (GPS) mounted as part of the Vehicle Mounted Unit in the bus will receive the longitude and latitude coordinates from the Satellite through a process of triangulation. This information is then sent across to the Central Control station through the wireless communication link ? 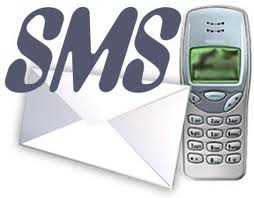 GSM / GPRS. The application at the Central control station on receiving the position inputs will update the display boards at the bus shelters / stops enroute and at the bus terminal platform display panel and the general display panel at the related bus terminals. 1.Display Boards at Bus Stop:- KSRTC has identified 105 bus shelters and power facility. These bus stops will be having 2 line/4 line LED display board which will display the Expected Time of Arrival(ETA) of the next bus on real time basis. 2.Display Boards at Bus Terminal:-KSRTC/TCS will be installing 10 line/16 line LCD display board which will display Expected Time of Departure(ETD) of various buses. These boards will be installed at City Bus Stand (entrance,subway). Locations like Mysore zoo, Mysore Railway Station, Mysore Rural Bus Stand etc will be having these display boards which will display ETD of buses passing through. 3.In Bus Display Boards:-KSRTC/TCS will be installing LED Display Boards inside the bus. These display boards would be displaying Slogans, Real Time Traffic Messages from the Central Control Station and the Current and Next Bus Stops both in Kannada and English. Commuters traveling inside the bus can listen and easily identify the upcoming bus stops. 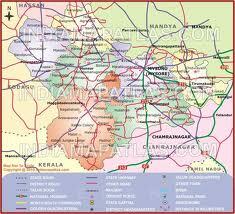 Highly beneficial for the commuters who are new to Mysore city. Commuters can easily track the dynamic information like status of a bus at their finger tip.